Description: Original Sterling Pistol Grip manufactured by Sterling Armament Dagenham England. 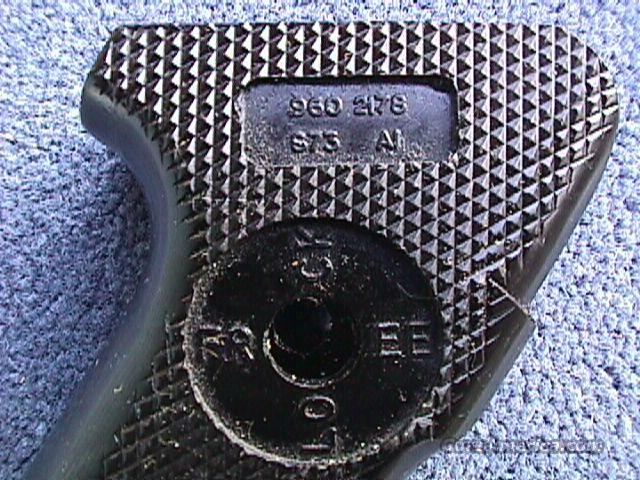 Same grip as used on the their Mk6 siem-auto carbine and Mk4 sub-gun. Perfect to dress up a Wiselite / Colefire / Century Arms semi-auto. Grips are new in the wrap. Because they are in the wrap I cannot tell the date code. Most are marked S86 or S84. Shipping $10 All postage and insurance will be incurred by purchaser. No face to face transactions. I do not have a retail business location. All sales must be shipped. PA residents include 6% sales tax or furnish resale certificate. No credit cards. US Postal MO or check. Check can delay shipment up to 10 days.